A camera stabilizer prevents unwanted shake in your video production. Shakey video footage is a turn off for the viewer and that is the last thing you want in your business video production. 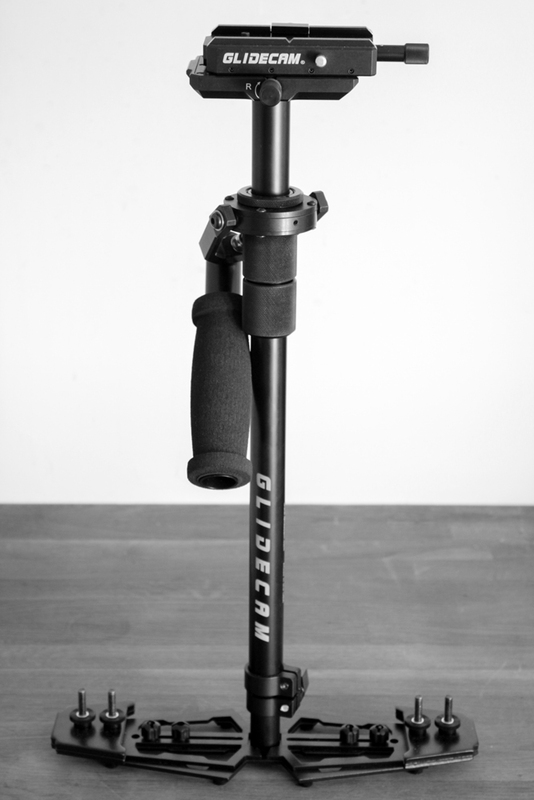 The simplest way to avoid camera shake is to mount the camera on a tripod – problem solved, well sort of. Whatever is being filmed will be stable by using a tripod and this can be useful in such situations as a static person talking to camera. However, what if it make sense to move a camera through a scene? For example though a busy delegate meeting or a hotel room or office space? You could film all three from a tripod but the footage would soon look boring. However if the cameraman picked up the tripod and recorded while moving through the scene they would get shaky footage, so what is the solution? Well in one word, “Gildecam”. A Glidecam is a stabiliser that by using clever physics (and months of training) will provide perfect smooth footage when the cameraman is moving through a scene. No shaky footage, just smooth video that literally looks like the camera is “flying” through whatever it is that is being filmed. Suddenly a hotel room or office space gives the viewer a sense of depth and “being there”. A presentation can be filmed by tracking the presenter onto stage and then revealing the audience. A factory can be filmed to show a smooth shot of the production line. These are just three examples and a Glidecam can be used for thousands of different shots and the vast majority of business videos would benefit by having a Glidecam in their production. Here at ADC Films we have the technology and training to offer this to all our clients.